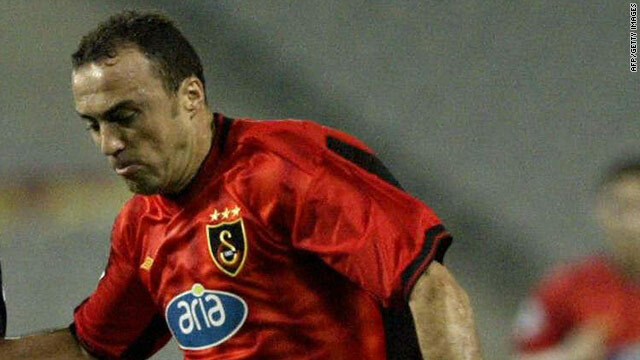 Former Galatsaray player Arif Erdem was among the people held by Turkish police investigating match-fixing. (CNN) -- Turkish police have swooped to detain 46 people as part of a widespread investigation into match-fixing in European football. Former Turkey international players Arif Erdem and Fatih Akyel were among those held, along with Bosnia goalkeeper Kenan Hasagic, Turkey's Hurriyet Daily News reported on Wednesday. Erdem is assistant coach of the Istanbul Municipality team, whose 3-1 victory in a Turkish Super League match against Genclerbirligi in May 2009 is under investigation by the Turkish Football Federation. The game had also come under suspicion from German prosecutors who launched a probe into match-fixing last year. Goalkeeper Recep Ozturk, who then played for Genclerbirligi but is now at Konyaspor, has also been detained after being accused of betting €30,000 ($40,000) against his own team, Hurriyet. Erdem played 60 times for his country and had a long career at leading club Galatasaray before retiring in 2005, and along with Akyel helped Turkey finish third at the 2002 World Cup. Hasagic has played for Bosnia Herzegovina in 29 international matches. The Turkish federation said its investigation was separate to the Bochum probe, which has targeted more than 200 matches in 11 countries. "The federation filed a complaint to the Sariyer Prosecutor's office on August 4, 2009, regarding information it has on match-fixing doubts in three games," it said on its official Web site. "The investigation by the Bochum prosecutors was made public in November, and the information and documents obtained from Bochum prosecutors and the UEFA have been shared with the Sariyer Prosecutor's Office." Turkish police said the raids took place all across the country, according to the state-run Anatolia News Agency. "As part of the investigation, 46 people have been detained from 26 different provinces. We are targeting 53 suspects," Istanbul police chief Huseyin Capkin said. The arrests came just three days after Swiss club Sion told prosecutors that last week's 2-0 defeat by Grasshoppers Zurich appeared to have been targeted by match-fixers. The club said on its Web site that information in betting shops before the game indicated that the result would be manipulated. European football's governing body UEFA announced last week that Ukrainian referee Oleh Orekhov had been banned for life based on information from German police's investigations into match-fixing and corruption. In China, which has also been trying to stamp out match-fixing, police arrested three referees this month. One of them, Lu Jun, officiated in two World Cup matches in 2002 but has been accused of accepting bribes before his retirement in 2005. Two clubs in China's top league have been relegated in relation to the investigations, which also saw the country's football head Nan Yong lose his job.